This eclectic collection features 10 original award winning songs. Produced in Los Angeles, this 24 track recording highlights Carol's musical diversity and her penace as a songsmith. From ballads, to rock and country and acoustic folk, this collection highlights Carol's lyrical depth and her reflections on life experiences. 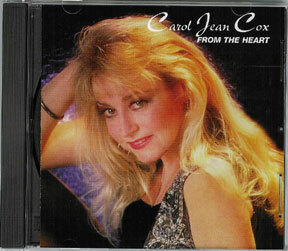 Songs From the Heart available in CD for $10.00 plus $3.00 for shipping.